The main purpose of the Careers Information, Advice and Guidance team is to provide our students with information, Advice and guidance for their future career. The information provided will ensure they can make informed decisions and follow a realistic path in order to achieve their goals. We aim to increase students' awareness of what is available to them, help them recognise their strengths and any limitations and identify where improvements could be made. In 2013, Gatsby was commissioned to research what actions could improve career guidance in English schools and use eight clear benchmarks as a framework for improving careers guidance. These have been well received by schools, government and a wide range of stakeholders. Students are able to make appointments with the team either by emailing careers@asachelt.org, visiting the 'Futures Hub' in the GLH during lunch break on Thursdays or call in to the Careers office (via Sixth Form Study Room) during morning break “drop in” or after school sessions. We predominantly work with those students at key transition stages, for example year 8 when choosing their options, year 11 in preparation for Post 16 and Year 13 with decisions about Post 18 options. However we are more than happy to meet with students from any other year group if they wish. We are also very happy to meet with parents if required. How is careers education delivered? All staff are expected to contribute to Careers Education delivery through their roles as tutors, associate tutors, subject teachers and support staff. Sessions are delivered by tutors, external providers, and through subject delivery throughout the curriculum. Students also have access to a range of careers support delivered through a variety of ways such as interactive workshops, drama productions, careers fairs, employer talks, guest speakers, business mentoring and trips to colleges and Universities. All Saints’ Academy Careers and Employability Strategy aims to provide all young people with a stable programme of inspirational careers activities and opportunities in order to develop important employability skills. Collaboration is at the heart of our careers strategy and a number of key partners help us to provide invaluable interactions with employers and employees. We are proud to work closely with university and further education partners to raise aspirations and widen participation in education opportunities. Futures is a two-year Teach First programme of support for sixth form pupils, comprising a range of activities and a mentor. In the first year of the programme they attend events, university day trips and a four-day residential Easter School at Oxford or Cambridge that support them to think about their passions, skills and interests in order to make decisions about the courses and universities they want to apply to. Mentoring takes place in the second year of the programme to help them make well-planned, high-quality UCAS applications. The Brilliant Club is an award-winning, independently-evaluated charity that exists to increase the number of pupils from under-represented backgrounds that progress to highly-selective universities. We do this by mobilising the PhD community to share its expertise with state schools as part-time tutors or full-time teachers. The Scholars Programme recruits PhD researchers, trains them as university access professionals and places them as tutors in schools to deliver programmes of university style tutorials to small groups of high potential students in Years 9 & 10. Students study academic subjects based on their PhD tutor’s research, completing weekly homework assignments and a final written assignment. Each programme starts and finishes with a trip to one of our partner universities, where pupils have a campus tour, meet undergraduates and receive guidance from university admissions staff. The Nuffield Research Placements scheme offers year 12 STEM students the chance to find out about what a career in STEM research might be like, and is targeted at students from a WP background. Students are given the opportunity to have a free 4-6 week placement in the school/college summer holidays. Students are placed alongside researchers in industry or university, and carry out their own mini research project. At the end they write up a scientific report which is submitted to the Nuffield Foundation, and they design a scientific poster which is presented at a Celebration Event after the end of the placements. Nuffield cover all of the costs of daily travel, and in addition provide a bursary of £100 per week to those who are eligible. Summer Schools are free to attend. Students can pick a Summer School at any university – not just one that’s local to where they live – pick a Summer School that’s based on subject interests at a university you’d like to spend a week exploring. 7 students will join the best riders in the world this year for the sixth Prudential RideLondon. The students are part of the PruGOals programme, which provides inspiration and support for young people to help them build a better future for themselves, regardless of their background. Prudential, with help from five partner charities, is working with 500 16-18-year-olds from low-income families to build their confidence and to support them as they move from school to employment. PruGOals helps young people develop relevant life skills including wellbeing, confidence and employability and encourages personal motivation. As well as bikes, training and equipment, coaching and mentoring is provided to support the students as they prepare for the Prudential RideLondon-Surrey 46 on Sunday, 29 July. The PruGOals initiative works in partnership with a range of charities including TeachFirst, Dame Kelly Holmes Trust and Transformation Trust. This is a fantastic and very challenging opportunity for our students and we are very excited to be a part of it. Furthermore students will get to stay at the Queen Elizabeth Olympic Park in London the night before the cycle, this will get students prepared and excited about the challenge ahead. All Year 11 students can access the area wide course information via UCAS Progress. Colleges, training providers and Apprenticeship opportunities can all be accessed through UCAS Progress. However, not all training providers and apprenticeships will be available; therefore it is important to search for others using the Apprenticeship websites and keeping an eye on the careers notice board in the Academy. Current Apprenticeship opportunities in the Cheltenham area will also be advertised on the careers page on the VLE. A range of careers websites can be accessed via the VLE. These resources provide the opportunity to find information about different courses and jobs, to compare universities, alternatives to university, to search for inspiration or to find sector specific information. New websites are tested and added during the academic year. 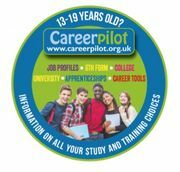 Careerpilot - is a free site that helps young people plan their future study and work. It is a great resource for young people, their parents/carers and also teachers and tutors, who are advising students about the full range of options. UCAS Progress - Here you will find information on what to study, where to go and how to get there. Icould - Provides career inspiration and information for young people. Icould shows what is possible in work and offer different ways to think about careers through free access to over 1000 personal video stories, detailed job information, plus practical tips, insight and advice. NHS Careers: stepintothenhs.nhs.uk - This website is provided by Health Careers. Health Careers, formerly NHS Careers, was set up to encourage people to think about the joining the NHS team. Dedicated to providing help and information to people who are interested in working in the NHS and other health employers in any one of the 350 careers on offer. Providing help with information on what it is really like to work in health, how to get started in a career in the NHS or on the training and study needed to qualify for different jobs. FAQs aimed at students, and their parents, who are considering higher education. What is the Gloucestershire Aspiration Programme? The Gloucestershire Aspiration Programme (GAP) is a government funded initiative that aims to raise aspiration to university level study (higher education) amongst pupils from targeted areas in Gloucestershire. · address the under-representation of young men from disadvantaged backgrounds in university level study. Through GAP, pupils from year 9 upwards, who live in target wards, are able to access a range of events and opportunities that aims to increase their awareness of the opportunities available at university level study and support them to make informed decisions about their futures. GAP will deliver a range of initiatives both in and out of school and for both pupils and parents / carers alike. What type of activities will GAP deliver? For more information please email grows@glos.ac.uk. What is a target ward? A target ward is an area, identified by the Higher Education Funding Council for England (HEFCE) ( http://www.hefce.ac.uk/) as having lower than expected numbers of learners progressing to university level study based on GCSE attainment (results). A network of five Gloucestershire based universities and colleges with twelve campuses offering over 250 higher education level courses. Inspiring and engaging young people in Gloucestershire to make informed choices about their future. Independent UK University League Tables & Rankings give you a good guide to which university is best for you, overall and by subject. We work closely with all main UK Universities, HESA and UCAS. notgoingtouni.co.uk is now the UK's leading website dedicated to helping school & college leavers make informed decisions about their future by showing the opportunities that exist outside of traditional university such as apprenticeships, sponsored degrees, diplomas, gap years, distance learning and jobs. Being an apprentice gives you the opportunity to gain a recognised qualification and develop professional skills, whilst also earning a salary. Degree Apprenticeships are a relatively new and growing development for vocational higher education in England which combine full-time paid work with free part-time university study. Apprentices are employed on a full-time basis for between one and six years, working at least 30 hours every week and enjoying blocks of practical on-the-job training. Getingofar.gov.uk provides a listing that showcases current and forthcoming higher and degree apprenticeships from some of the UK's biggest and best employers from The RAF to the BBC, Nestle to Rolls Royce, Santander to Siemens, and Royal Mail to Transport for London. Businesses and employers have a pivotal role in giving young people the opportunity to explore their options and succeed in the world of work. Research confirms how much experiences with employers help to prepare young people for their futures. A range of local and national employers take part in our Careers events. Professionals, Academics and Apprentices ranging from Engineers, public services, financial services industry, recruitment specialists and charities visit the academy and engage with students to emphasise the transferrable skills, importance of commitment, punctuality and resilience. National Careers Week is a celebration of careers guidance and employment opportunities across the UK. The aim is to provide a focus for careers guidance activity at an important stage in the academic calendar to help support young people when leaving education. At a time of high youth unemployment there has never been a bigger need for careers guidance to be promoted and celebrated in education. National Careers Week is our platform to advise and inspire our next generation as they enter the world of work. Career Fairs – Each year we run career fairs that provide career information, advice and guidance from a range of businesses and universities; these are attended by all academy students. In 2014, the Government established The Careers & Enterprise Company (CEC) to be the strategic coordinating function for employers, schools, colleges, funders and providers and to provide high impact careers and enterprise support to young people (aged 12-18). WorldSkills UK, NEC Students can explore routes and pathways to a range of options at key transition stages and be aware of labour market. The Careerometer widget below provides access to a selection of headline data relating to pay, weekly hours of work and future employment prospects. The widget can be used to explore and compare key information about occupations to support the process of identifying potential careers. The data is organised by occupation: simply type in the title of the job you are interested in and the widget provides a series of options from which you can select the most relevant to you. Phone: Call 0800 100 900 to speak to an adviser (8am to 10pm, 7 days a week). Calls are free from landlines and most mobile numbers. Callback: Tell us your number and we'll call you back. Careers resources such as how to write a CV and covering letter guides can be accessed via the VLE or collected from Careers office (via Sixth Form Study Room). The 'Futures Hub' in the GLH holds a selection of careers books and sixth form, college and university prospectuses. Most college course and training schemes are free of charge, however some courses do require you to purchase equipment and uniform. The 16 – 19 Bursary Fund replaced the Education Maintenance Allowance (EMA) and it is the school, college or training provider’s responsibility for awarding this. Each establishment will have their own criteria for applying for the bursary. For more information please contact the school, college or training provider individually. Post 16: Students can also apply for free school meals provided parents are in receipt of one of the eligible benefits. Post 18: Intensive support is provided by the sixth form team to provide support with the preparation for UCAS applications. Year 13 students who do not wish to take the university route are offered guidance and support with their choices at Post 18. Apprenticeship sessions and careers discussions take place with guidance and support with applications. Although work experience is no longer available during term time for Year 10 students, we do highly recommend you seek or take up any opportunity to undertake some kind of work experience during the holiday periods. Work experience can be a valuable learning curve and can help with future applications and opportunities. Work experience opportunities are now available during your Post 16 studies. It is important to consider your future career/education as work experience can be essential to ensure access to your chosen future pathway. For example, as some universities ask for work experience as part of their entry requirements, it is important to start thinking about this early, especially those looking at teaching or medical careers. Some Post 16 courses require a number of hours' work experience in order to complete the course; Health & Social Care for example. It is important that you follow the school/college guidelines with regard to work experience, as paperwork and insurance documents will need to be in place before you can begin. Please see Mrs Parr or Mrs Taylor in the Careers Team for further information and help to get started with your work experience placement. We are proud of the destinations that our students choose after their Sixth Form education here. Many move into fulfilling and rewarding careers many choose to go into Higher Education (sometimes following a gap year). We are most proud of is the fact that our students gain admission to universities that suit best their own interests, passions and talents.